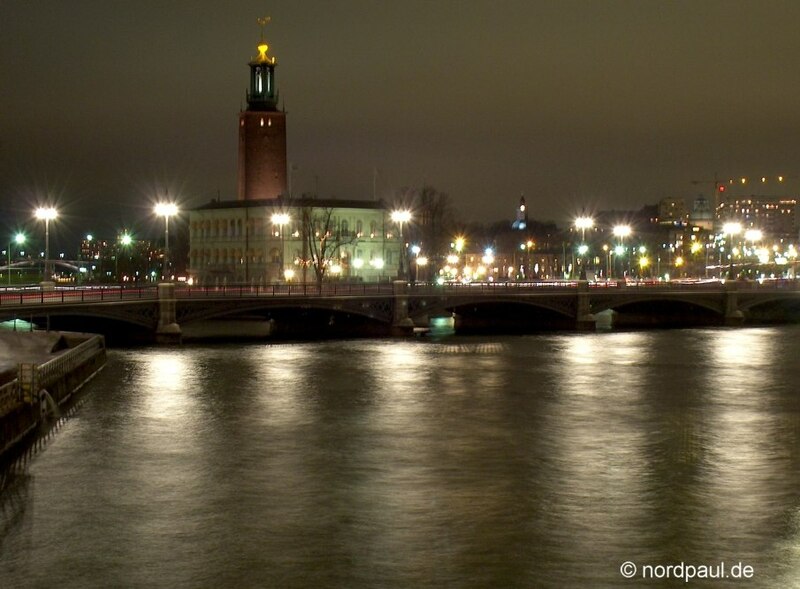 In december 2004 I visited Stockholm for four days. There was no snow or ice but cosy advent season. 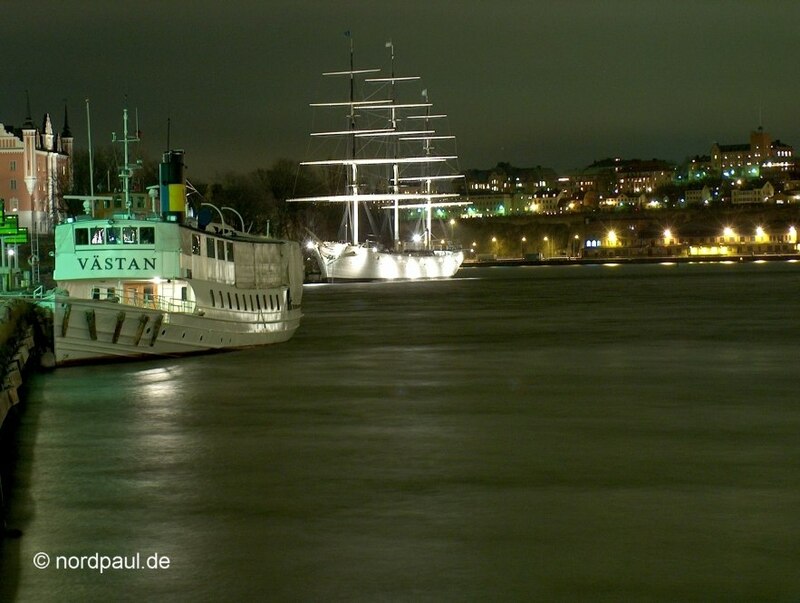 In the middle of december 2004 I went for the first time in my live in the winter half year to Northern Europe. 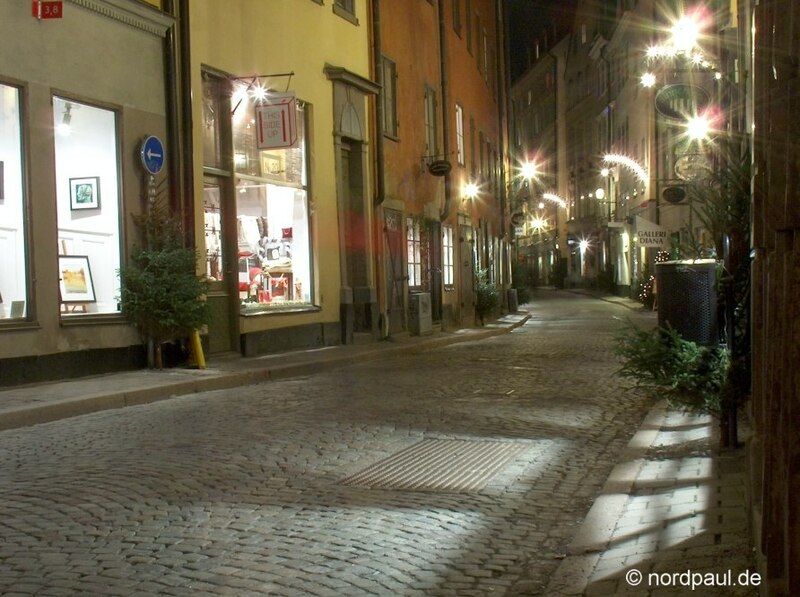 In this time I wanted to visit Stockholm in advent season and feel the special atmosphere. 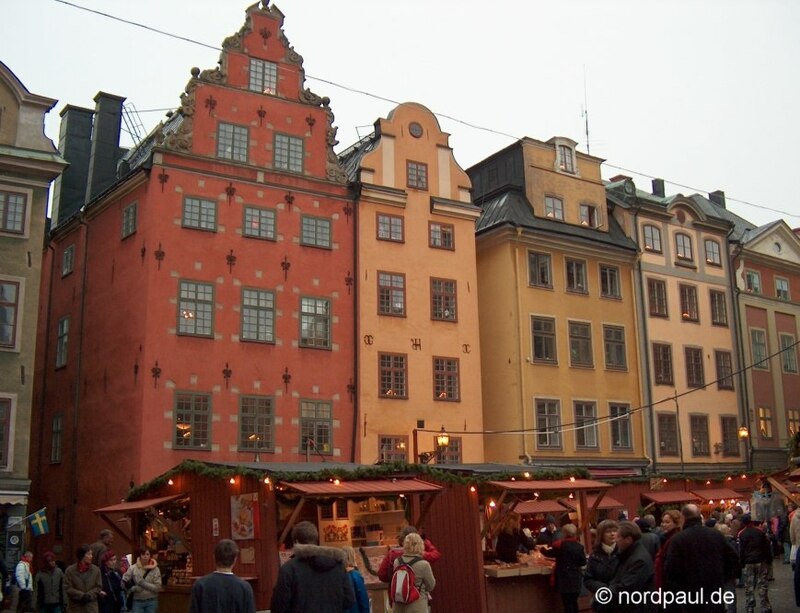 There was no snow but the possibility to stroll through the cobbled back streets and the Christmas fair in the old town (Gamla Stan). 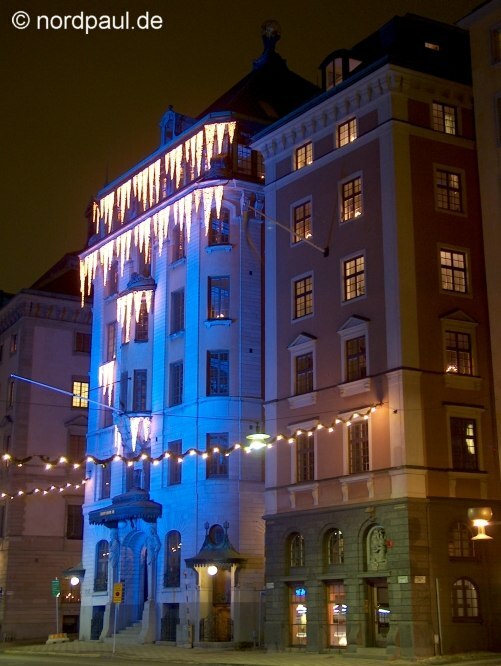 An other reason for the cosy advent mood was the short day time. The sun (mostly behind low stratus) was only for some hours at the sky. Sunset was at 2 p.m. And at 3 p.m. it was dark again. 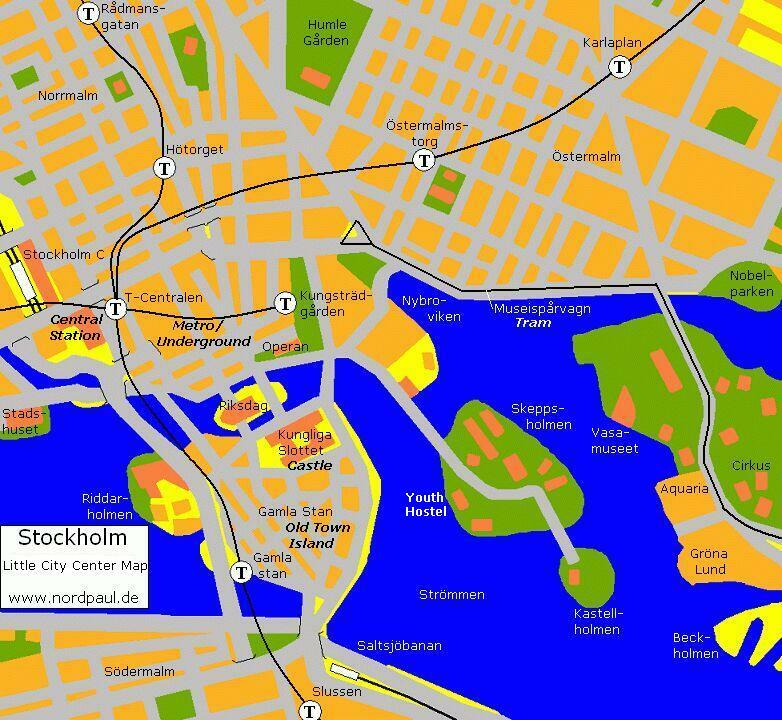 A very good place for sleeping in Stockholm are the two youth hostels "Skeppsholmen & af Chapman". 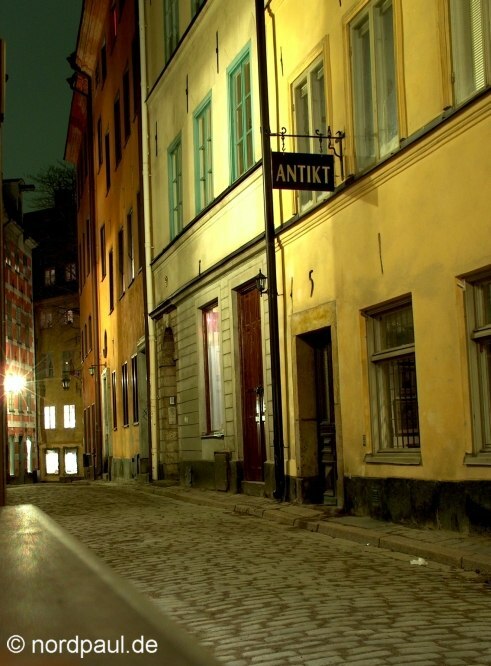 They are situated east of the old town island Gamla Stan at the island Skeppsholmen. 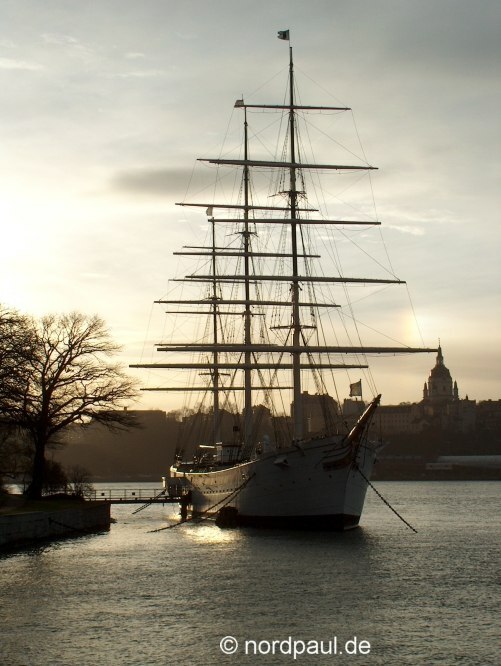 The particular thing is that "af Chapman" is an old large sailing ship with many cabins, toilets and washrooms. The accomodation prices are about 22 to 25 EUR (in the year 2004). A booking in advance is more than usefull. One sentence to my pictures in the darkness: I took them without a flashlight but with an exposure time of mostly eight to twelve seconds. This way I got some nice pictures of the advent darkness in Stockholm.